Bupa and Medibank are two of the companies offering health insurance in Australia. Insuring with these two institutions can offer you a large range of financial benefits. So should you choose Bupa or Medibank? Below we compare some of the services available from Bupa and Medibank: Health Insurance, Overseas Student Health Cover (OSHC), Overseas Visitors Health Cover (OVHC), Life Insurance, Travel Insurance, and Pet Insurance. Bupa and Medibank are both known for offering health insurance policies. 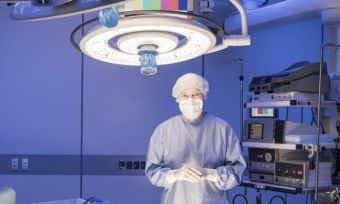 They both offer a wide range of packages including Hospital cover, Extras cover, or packaged Hospital & Extras. If you are considering Bupa or Medibank health insurance, you can compare what’s available in our comparison table below. This table is based on a single male born in 1980, who lives in the state of NSW, and is looking for a packaged Hospital & Extras policy. The table is sorted by star rating (highest to lowest). 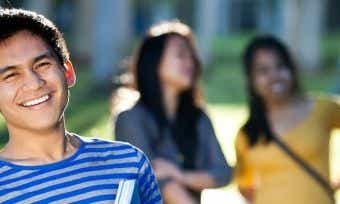 Bupa and Medibank offer health cover policies for international students, known as Overseas Student Health Cover (OSHC). They both offer a range of cover designed to meet the requirements of student visas in Australia. If you are considering Bupa or Medibank OSHC insurance, you can compare what’s available in our comparison table below. This table is based on cover for an international student coming to study on a 1-year study visa. The table is sorted by Star Rating (highest to lowest). Bupa and Medibank offer health cover policies for people visiting Australia, known as Overseas Visitors Health Cover (OVHC). Types of policies include the health cover required by international workers coming here on a working visa (Working Visa Health Cover). If you are considering Bupa or Medibank working visa health insurance, you can compare what’s available using our website. Bupa and Medibank both offer travel insurance for Australians visiting many different destinations. If you are considering Bupa or Medibank travel insurance, you can compare what’s available in our comparison table below. This table is based on insurance for a couple aged less than 60 years old, who are travelling to the USA on a 10-day trip. The table is sorted by star rating (highest to lowest). Bupa and Medibank are also known for offering pet insurance policies. They both offer a wide range of packages including accident only, accident and illness, or comprehensive policies. If you are considering Bupa or Medibank pet insurance, you can compare what’s available in our comparison table below. If you are considering Bupa or HCF pet insurance, you can compare what’s available in our comparison table below. This table shows the pet insurance options on offer for a 1-year-old dog of a medium-sized breed, for Accident & Illness cover. The table is sorted by star rating (highest to lowest). What Is Working Visa Health Insurance? Canstar is an information provider and in giving you product information Canstar is not making any suggestion or recommendation about a particular insurance product. If you decide to apply for overseas student health cover, you will deal directly with an insurance provider, and not with Canstar. Rates and product information should be confirmed with the relevant insurance provider. For more information, read our detailed disclosure, important notes and additional information.The inclusions mentioned represent a selection of what is covered at the time of writing. Additional terms and conditions may apply to different features. Additional fees may apply to the product. Canstar is not making any suggestion or recommendation to you about this product. Please ensure that you read the product disclosure statement to determine all the current options and inclusions for the product you are considering. The Star Ratings in this table were awarded in March, 2019 and data is as at that date, updated from time to time to reflect product changes notified to us by product issuers. Pet insurance policies displayed above that are not “Sponsored” are sorted as referenced in the introductory text to the table and then alphabetically by company. Canstar may receive a fee for referral of leads from these products. See How We Get Paid for further information. If you decide to apply for health insurance, you will deal directly with an insurance provider, and not with Canstar. Consider the provider’s detailed product and pricing information before making a decision to purchase a policy. The Star Ratings identified for the pet insurance policies in this table were awarded in August 2018 and data is as at that date, updated from time to time to reflect product changes notified to us by product issuers. View the Canstar Pet Insurance Star Ratings Methodology and Report. The rating shown is only one factor to take into account when considering products.